Summer in Europe is almost over, I am back in Kathmandu trying to hunt down expeditions for the Himalayan Database and at the same time I am getting ready for my attempted climb of Cho Oyu, the sixth highest mountain in the world. Cho Oyu (8,188m) lies on the border between Nepal and Tibet and it was the first 8,000m-peak I intended to climb, which was back in 2005. However, I was with two very strong climbers and as I could just not keep up with them and was told that I was far too slow, I had to give up my attempt. 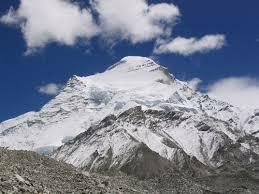 So, I also thoughtÂ that I should give up trying to climb such big mountains as I was just not made for it. However, when I decided to climb Mount Everest in 2009 I never thought I would make it to the top as I was convinced that my body was not made for such high mountains – but I wanted to at least give it another go. And it worked… and then a few other high mountains followed. Now, 11 years later I am ready to go back to Tibet to attempt Cho Oyu again and try to finishÂ some unfinished business and I hope that I will be able to reach the top this time. Other than that I spent a very enjoyable time in Europe, where I was with my family in Garmisch-PartenkirchenÂ for most of the time. I was working on my translation of Reinhold Messner’s latest book “Der Absturz des Himmels“, did two races – one of them with Richard, my flatmate from Nepal – and had the chance to go to Austria, Italy and Spain. So all in all not a bad summer and of course it also reminded me of how beautiful Europe actually is. 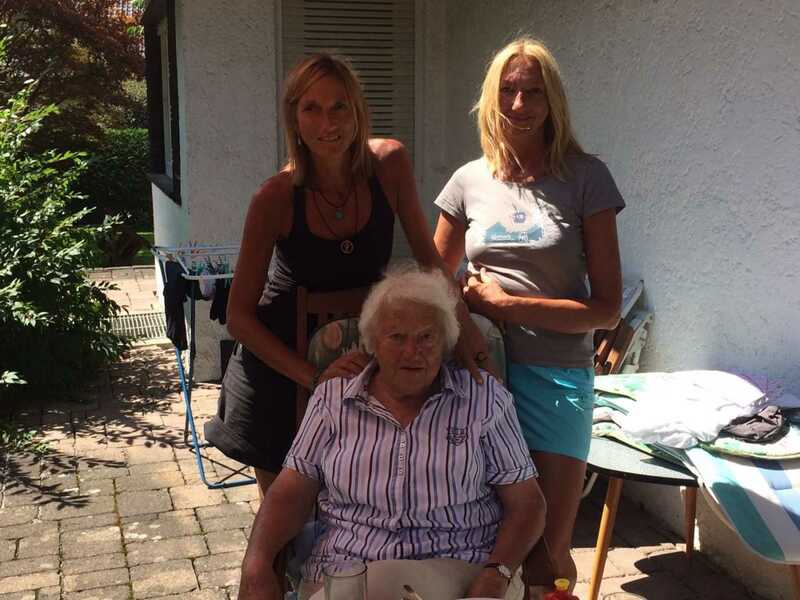 On our beautiful terrace in Garmisch with my mum and my sister. However, it is good to be back in the craziness of Nepal and spend some time with Miss Elizabeth Hawley again. She has nowÂ officially given up working for the Himalayan archives and my visits to her are of a purely sociable nature. We chat about politics, books and life in general and the other night we watched Lincoln, which Miss Hawley very much enjoyed. She is doing very well and her mind is as sharp as ever. I will try and update this website from Cho Oyu base camp every once in a while but it could be tricky as internet access is very few and far between there. However, I will make sure that I will keep you informed and if not from base camp then as soon as I getÂ back from the expedition, which should be around 7th October. In the meantime, I wish everyone a great autumn in the northern hemisphere and a wonderful spring in the southern hemisphere. …and thanks for checking this website every once in a while even though I have been a bit slack at updating it.